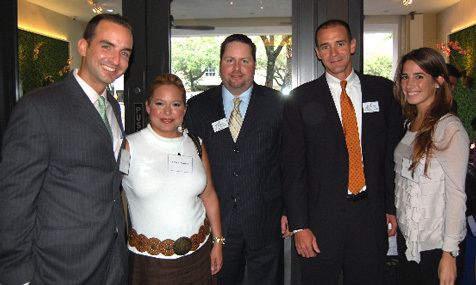 Young Professionals of the Lighthouse (YPOL) was established in 2003 to target young professionals between 25-40 years. 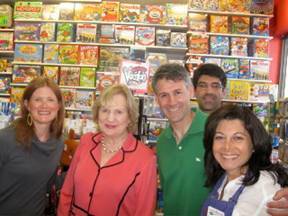 This volunteer group helps raise awareness and funds through various social activities in the community. Check out the Calendar of Events for more information or to learn more about YPOL membership contact Cameron Sisser at CSisser@MiamiLighthouse.org or 786-362-7515. 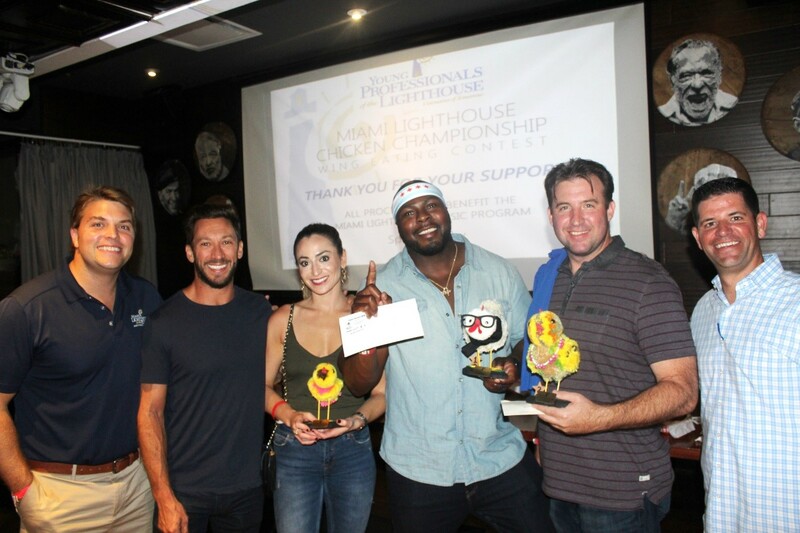 The Young Professionals of the Lighthouse (YPOL) hosted the Miami Lighthouse Chicken Championship Wing Contest on Friday September 21st sponsored by AXS Law Group. The event benefitted our nationally recognized award-winning Music Program. 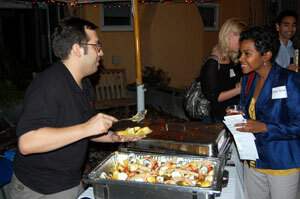 Guests enjoyed networking with local young professionals and a competitive wing eating contest. Spectators cheered on six hungry participants while Corey Green took home first place and second place went to John Reed. The winners won pompom chickens made in our Social Group Activities Program and tickets to the University of Miami vs. Florida International University football game. Thank you to all who participated in our annual Chicken Championship! 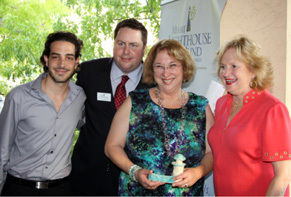 The Young Professionals of the Lighthouse hosted the annual Legislative Luncheon on July 11th honoring Miami Lighthouse champions in the Florida Legislature. During the recent legislative session funding was passed for the support of our Florida Heiken Children's Vision Program, as well as, our Senior Group Health and Activities Program. Appreciation was also expressed to our city and county elected officials for Elder Care funding and for assistance with the construction of our new Miami Lighthouse Learning Center for Children™. 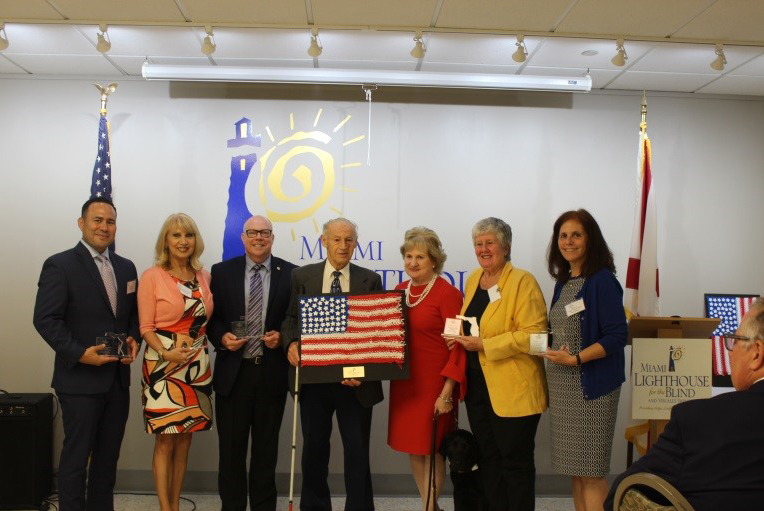 Miami Lighthouse Board Chairman Louis Nostro welcomed the luncheon attendees after which The Star Spangled Banner was sung by Miami Lighthouse student Silvio Plata. 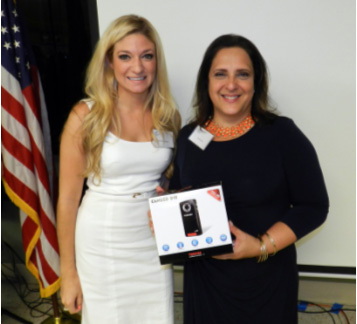 A special thank you was given to Thais A. Asper, Regional Director of AT&T, for AT&T's generous sponsorship of this year's luncheon. 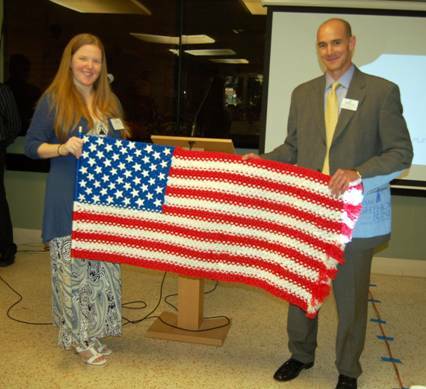 handmade American Flag, President & CEO Virginia Jacko, Commissioner Sally Heyman and Mayor of North Miami Beach Beth Spiegel. 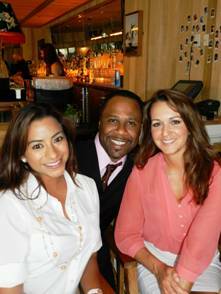 luncheon sponsor AT&T represented by Cristal Cole, Thais Asper and Alex Dominguez. 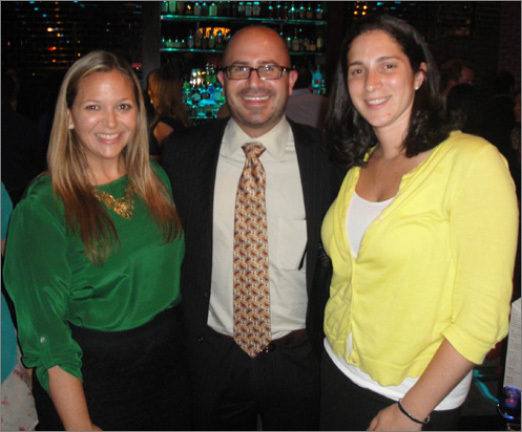 Young Professionals of the Lighthouse with featured speaker Eddy Arriola Chairman of the Board & CEO of Apollo Bank. 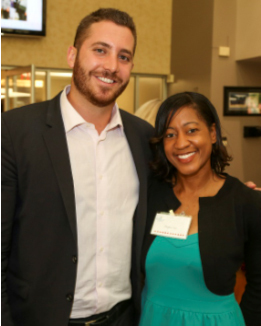 On March 5th Apollo Bank hosted Miami Lighthouse's Young Professionals "Visionaries of Tomorrow" speaker series featuring guest speaker Eddy Arriola. 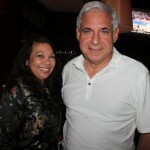 Mr. Arriola is the Chairman of the Board & CEO of Apollo Bank. Prior to starting Apollo Bank, Mr. Arriola was involved in several entrepreneurial businesses including co-founding of Inktel, one of the largest call center companies in the U.S.
Mr. Arriola talked to our Young Professionals about the importance of community engagement, public service and learning how government works. He also stressed the importance of building a good team around you to be successful and the 80/20 rule which states 80 percent of your outcomes come from 20 percent of your inputs. We thank Mr. Arriola for joining our Miami Lighthouse Circle of Friends. 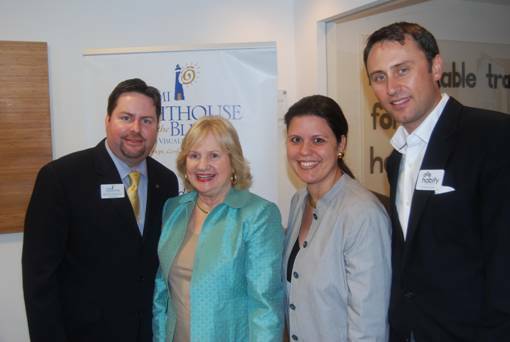 Young Professionals of the Lighthouse with featured speaker and Board Director Donna Abood and President and CEO Virginia Jacko. 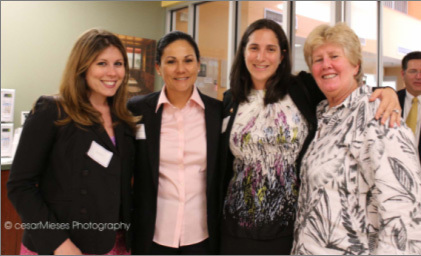 On January 12th Miami Lighthouse's Young Professionals hosted their first "Visionaries of Tomorrow" event featuring guest speaker and Miami Lighthouse Board Director, Donna Abood. Donna is also Past Chair of the Beacon Council and Managing Director of Avison Young, a global real estate firm. She talked to our Young Professionals about her own experiences building a successful career in commercial real estate and the importance of following your dreams, staying in balance with who you are, and building strong relationships. Members also heard an update on Young Professionals involvement in the successful fundraiser known as the Miami Lighthouse Circle of Friends. 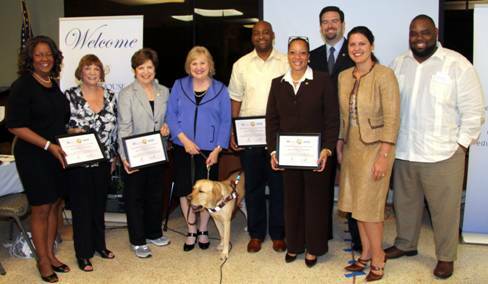 The Circle's mission is to create an environment for professional development and community service in order to raise awareness and funds that make a difference in the lives of blind and visually impaired children. 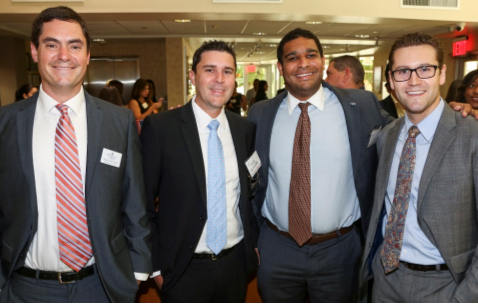 The Young Professionals of the Lighthouse hosted the annual Legislative Luncheon on July 1st, honoring Miami Lighthouse champions in the Florida Legislature during the recent legislative session. 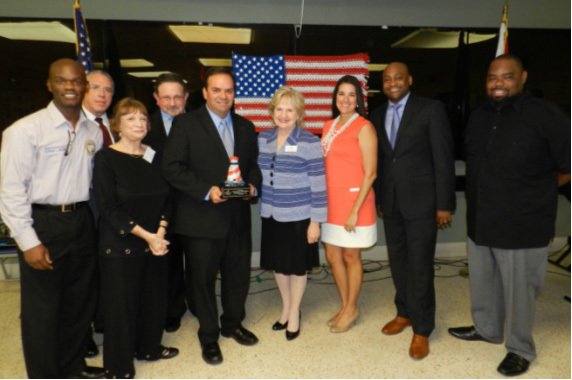 Honorees in attendance included Senator Gwen Margolis, Representative Jose Felix Diaz and Representative David Richardson. 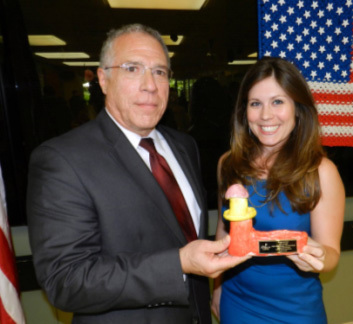 Thanks was also extended to our governmental relations guru, Bob Levy, President of Robert M. Levy & Associates, for his important work with the Legislature on behalf of Miami Lighthouse. 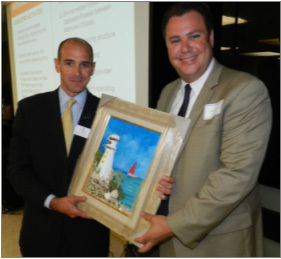 A highlight of the event, sponsored by All Aboard Florida, was the presentation to Miami Lighthouse of a grant by AT&T. The important new grant will enable youth who are blind or visually impaired to engage in activities related to broadcast journalism, expanding their options for further education in the field and employment. The presentation was made by Alex Dominguez, Area Director of External Affairs for AT&T. "We are extremely honored to receive support from AT&T," said CEO Virginia A. Jacko. 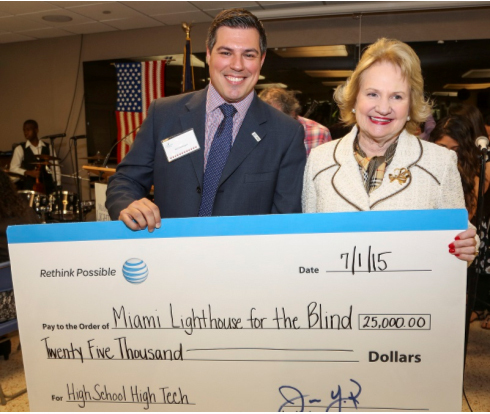 "This generous grant will significantly expand Miami Lighthouse's High School High Tech Program and provide our students with the opportunity to explore jobs in the communications industry." 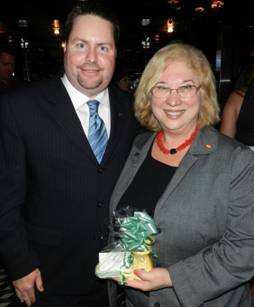 Senator Gwen Margolis and Representative Jose Felix Diaz. 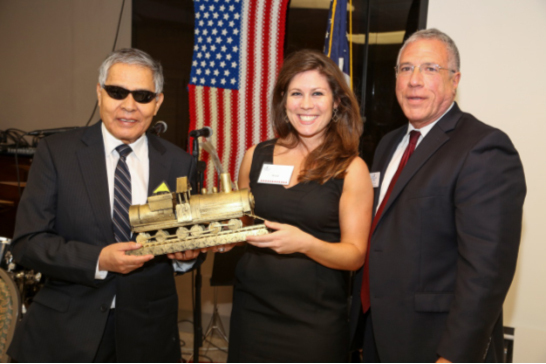 SGA Client Maximo Gonzalez, Ali Soule from All Aboard Florida and Board Chair Ray Casas. 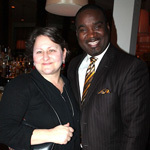 AT&T Regional Director of External Affairs Alex Dominguez and President & CEO Virginia Jacko. 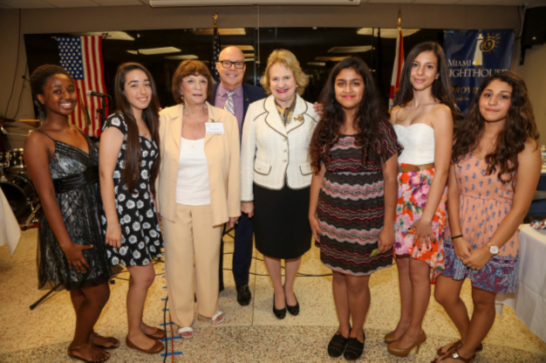 President & CEO Virginia Jacko and Miami Lighthouse Music Program participants. 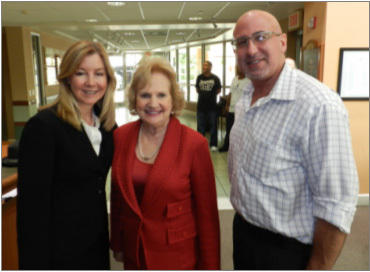 Harriet Carter, Community Liason to Congresswoman Ileana Ros-Lehtinen. 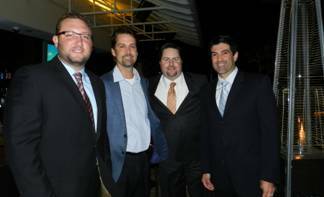 Board Director and YPOL Chair Pablo Gonzalez, Luis Gamoneda, Matt Anderson and Josh Weber. Julia Costin and Carolina Ramirez. Jake Freeman and Thamiah Tutt. 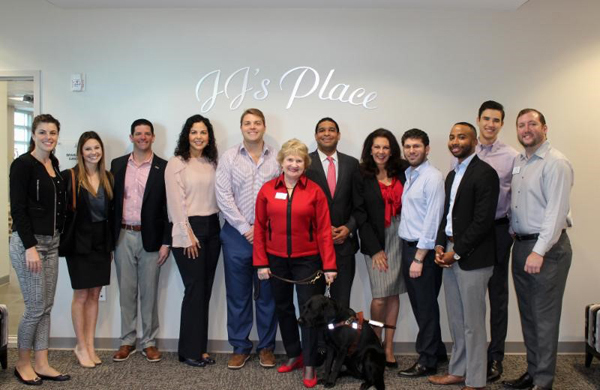 On Thursday, July 10th, the Young Professionals of Miami Lighthouse held their annual Legislative Luncheon and networking event at Miami Lighthouse for the Blind and Visually Impaired. 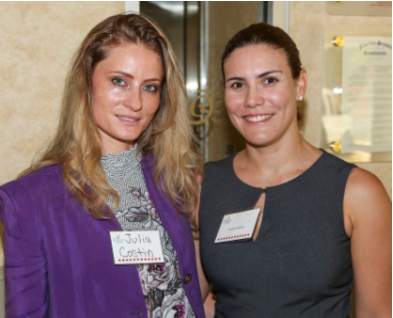 Over ninety guests including elected officials and aides, Miami Lighthouse board directors, and young professionals gathered to enjoy the complimentary luncheon and networking underwritten by All Aboard Florida. 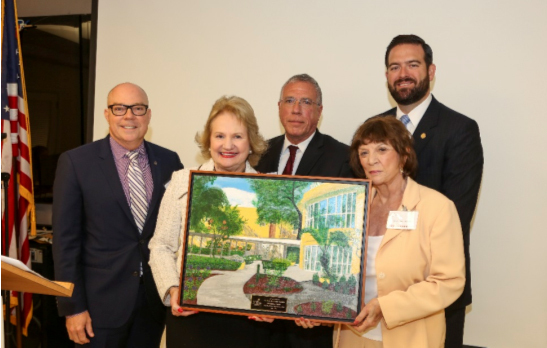 This year’s lunch honored the Miami-Dade County Legislative Delegation represented by Chair Eddy Gonzalez and the Miami-Dade County Board of Commissioners chaired by Commissioner Rebeca Sosa who was represented by Manny Orbis. Senator Oscar Braynon, Senator Dwight Bullard. The luncheon began with Miami Lighthouse Better Chance Music Production Program™ student Leon Stewart performing The Star-Spangled Banner on keyboard. Ray Casas, Miami Lighthouse Board Chair-elect, welcomed attendees and introduced Miami Lighthouse Summer Training and Recreation Program (STAR) student Silvio Plata who gave the invocation. Virginia A. Jacko, President & CEO, spoke about the inspiring mission of Miami Lighthouse and the importance of leadership and uniting young professionals, elected officials and Miami Lighthouse’s board directors. Attendees were treated to a personal tour of Miami Lighthouse and were able to see the many different activities that more than 150 children participate in on a daily basis in our summer camp. 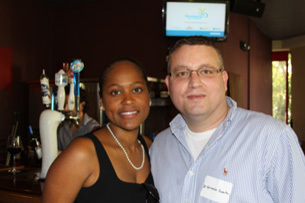 We thank all the elected officials, board directors and young professionals who attended the event. the Florida Department of Health in Miami-Dade County. 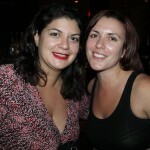 Commissioner Rebeca Sosa, President and CEO Virginia Jacko. 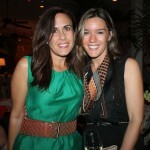 Bridget DeSeno and Judith Ruiz. 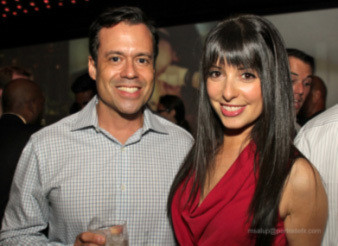 Board Chair-elect Ray Casas and Ali Soule of All Aboard Florida. 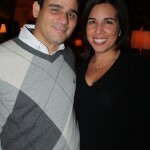 Mayor of North Miami Beach George Vallejo. 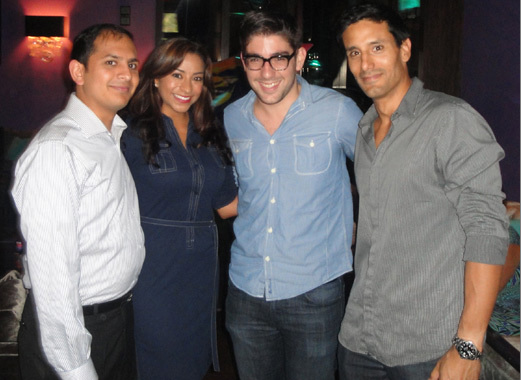 Young Professionals of Miami Lighthouse (YPOL) and Miami Model Citizens recently came together at a happy hour hosted by HaVen Gastro-Lounge in Miami Beach on August 13, 2013. 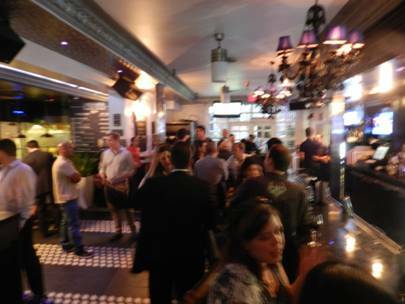 More than 75 young business and community leaders gathered to network and enjoy specialty cocktails. 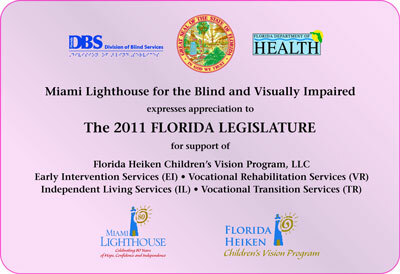 Proceeds from the night benefitted Miami Lighthouse for the Blind. 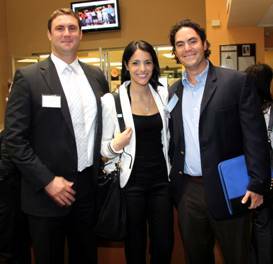 You can become a YPOL member by contacting Cameron Sisser at csisser@miamilighthouse.org or 786-362-7515. 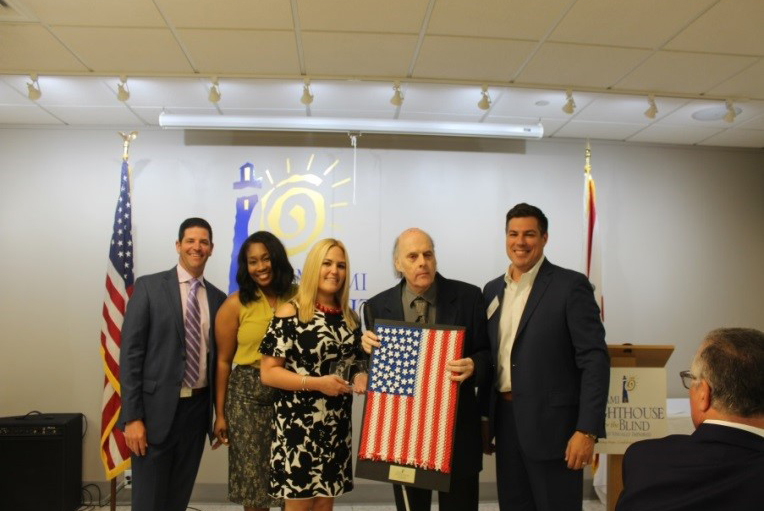 The Young Professionals of Miami Lighthouse held their annual Legislative Luncheon and networking event at the Miami Lighthouse for the Blind and Visually Impaired on Tuesday, July 9th. Over seventy young professionals and fifteen elected officials and aides gathered to enjoy the complimentary luncheon and networking underwritten by All Aboard Florida. 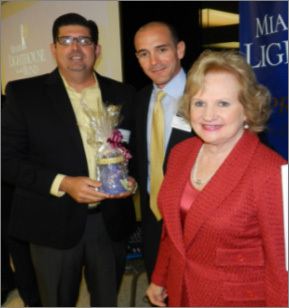 The lunch honored Senator Denise Grimsley, Senator Gwen Margolis and State Representative Manny Diaz, Jr for their support of Miami Lighthouse and the Heiken Children’s Vision Program. The luncheon began with Miami Lighthouse Better Chance Music Production Program™ student Angel Wallace singing The Star-Spangled Banner. 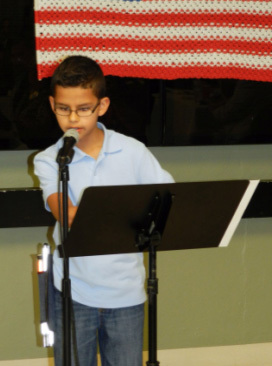 Chairman of the Board Agustin Arellano Jr. welcomed attendees and introduced Miami Lighthouse Summer Training and Recreation Program (STAR) student Silvio Plata who gave the invocation. Virginia A. Jacko, President & CEO, spoke about the inspiring mission of Miami Lighthouse and the importance of leadership and uniting young professionals, elected officials and Miami Lighthouse’s board directors. 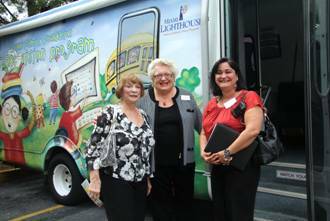 Attendees were treated to a personal tour of Miami Lighthouse and enjoyed seeing the fun and engaging activities over 150 children participate in on a daily basis. The lunch sponsor, Jose Gonzalez, Vice President of Corporate Development for Florida East Coast Industries at All Aboard Florida, spoke about the new convenient, environmentally friendly and cost-effective intercity passenger rail service being developed between South Florida and Central Florida. We thank our sponsor, All Aboard Florida, elected officials, aides and all the young professionals who attended the event. 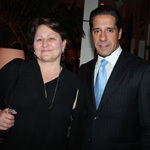 President & CEO Virginia Jacko Chairman of the Board Agustin Arellano, Jr.
Visionary of the Year Senator Gwen Margolis. 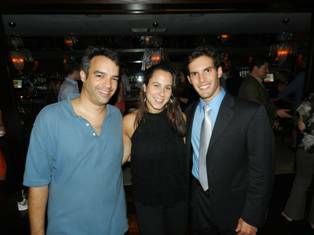 State Representative David Richardson, Jeannette Nunez, Visionary of the Year State Representative Manny Diaz, Jr.
and Holly Raschein. 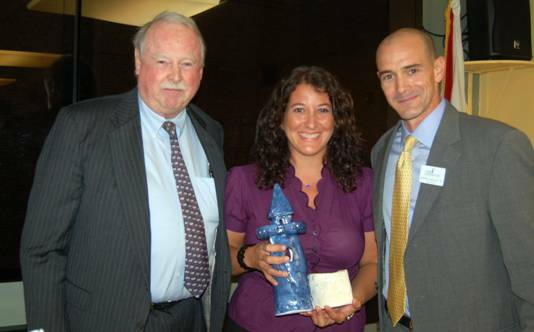 Nunez and Raschein accepted the Visionary of the Year award of behalf of Senator Denise Grimsley. 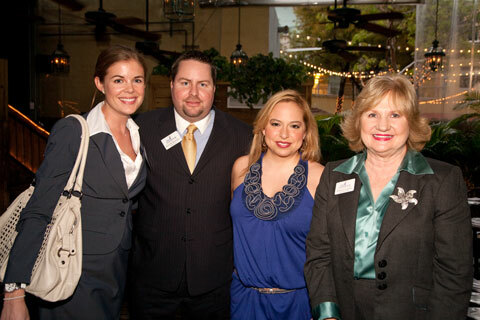 Cameron Sisser, Board Director Kent Benedict and Chairman of the Board Agustin Arellano, Jr.
Ali Soule, Maria Byrd, Kadie Black and Commissioner Sally Heyman. 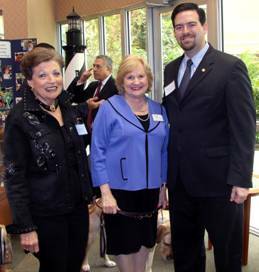 Judge Norma Lindsey with President & CEO Virginia Jacko and Judge Spencer Eig. Pablo Gonzalez and Shawn Folk. 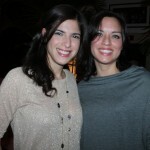 Elizabeth Martinez and Fiorella Lanfranco. 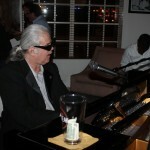 Miami Lighthouse Better Chance Music Production Program™ instructors provided background music for guests to enjoy. 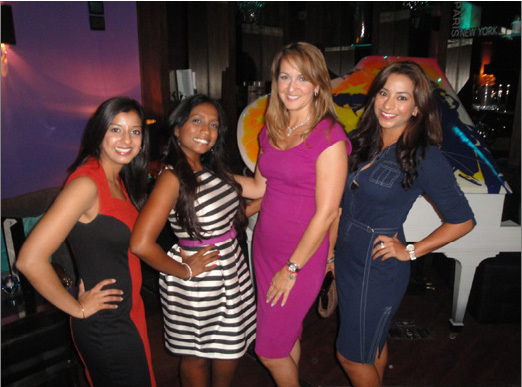 Young Professionals of Miami Lighthouse recently came together with the Miami Children's Young Ambassadors for a joint networker where they could get to know each other and learn about both great causes. 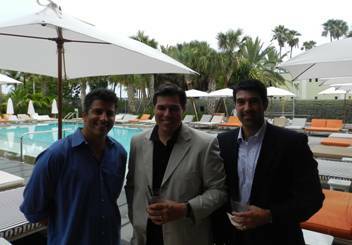 Hosted at The Flat in Miami Beach on June 27, 2013, approximately 60 young business and community leaders attended the event. A portion of the night's proceeds were donated to both charities and there were drawings for a VIP table and two $50 tabs at The Flat. 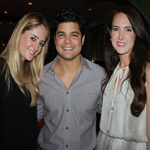 On March 13th the Young Professionals of Miami Lighthouse (YPOL) and the Humane Society of Greater Miami met for a happy hour at the beautiful Zen Sai at Essex House on South Beach to benefit both organizations. 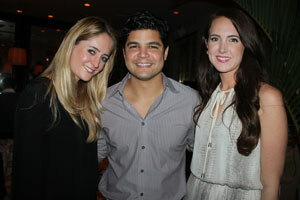 More than 40 young professionals gathered to enjoy appetizers and specialty cocktails. You can become a YPOL member by contacting Cameron Sisser at csisser@miamilighthouse.org or 786-362-7515. 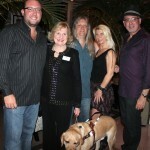 The YPOL Committee thanks PetNet for their partnership and James Butler of Zen Sai at Essex House for his hospitality. 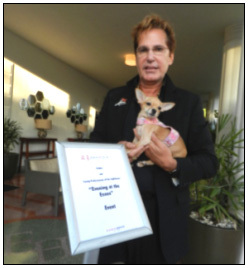 Edward J. Oberle Lopez and Princess. Adam Stelzer, O.D. and Antoine Copty, O.D. 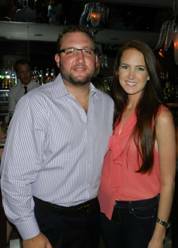 Gabrielle Mercadante and Shawn Folk. 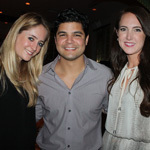 On Wednesday, January 16th, SFG headed to the Betsy Hotel in South Beach to celebrate Overture to Overtown. The celebration is part of a week-long event thrown by the Betsy Hotel to honor the history and culture of this community. This event kicks off their Art Deco Jazz Week celebrations with fantastic musical performances lined up for each night of the celebration. 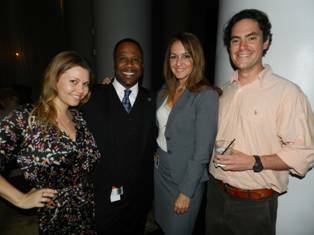 On November 7th the Young Professionals of Miami Lighthouse (YPOL) met for a relaxing happy hour at the beautiful Mayfair Hotel & Spa in Coconut Grove to toast and celebrate the completion of the Spencer Educational Empowerment Center Challenge, which will allow for the construction of a new fourth floor to expand Braille and technology literacy, job readiness, and transition program for teenagers. 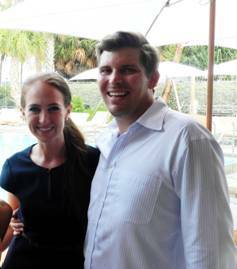 You can become a YPOL member by contacting Cameron Sisser at csisser@miamilighthouse.org or 786-362-7515. The YPOL Committee thanks Steven Bumpus and the Mayfair Hotel staff for their gracious hospitality. 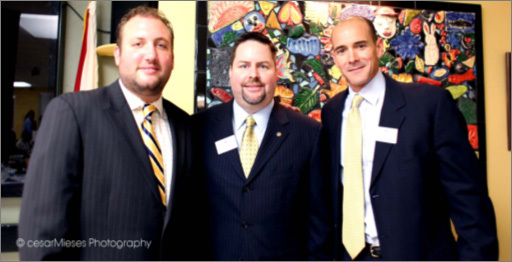 Cameron Sisser, Bruce Wiggins, YPOL co-chair Kent Benedict and YPOL Committee Member Michael Jimenez. 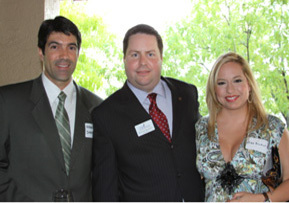 Circuit Court Judge Spencer Eig, Salina Jivani and JC Gomez. 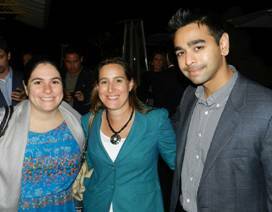 Julie Katz, YPOL Committee Member Lauren Firtel and Neil Patel. 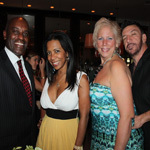 Michael Simmons, Jason Gudaitis, Lucy Toquica and Ali Soule. The Young Professionals of Miami Lighthouse (YPOL) held their holiday toy drive at The Learning Express on November 4th. 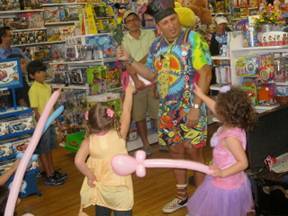 Children and parents gathered to enjoy a Sunday afternoon of purchasing toys for blind babies and children, and laughs were provided by Ziggy the Clown. 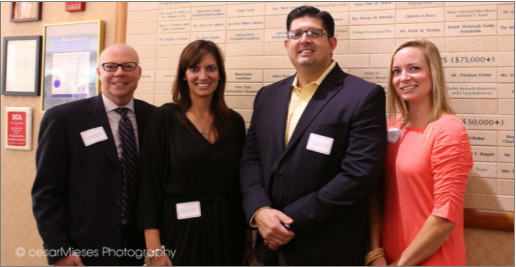 Board Director Steven Solomon welcomed everyone who attended the event and explained what Miami Lighthouse does to help visually impaired children and adults. 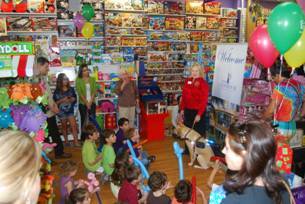 The YPOL Committee would like to thank Learning Express, Board Director Steve Solomon and everyone who purchased toys for blind and visually impaired children. 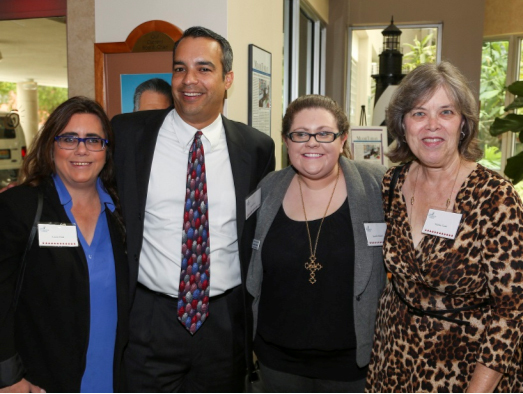 Staci Solomon, CEO Virginia Jacko, Steven Solomon, Michael Jimenez and Cathy Bartel owner of Learning Express. 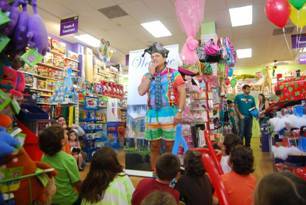 Ziggy the Clown performs for the children. 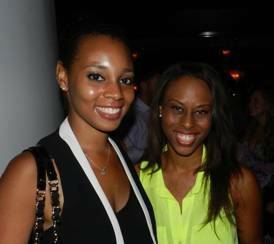 On October 4th the Young Professionals of Miami Lighthouse (YPOL) met for a relaxing happy hour at the beautiful Delano on South Beach. Complimentary Bacardi cocktails were provided while members of YPOL networked with each other. You can become a YPOL member by contacting Cameron Sisser at csisser@miamilighthouse.org or 786-362-7515. The YPOL Committee thanks Loni Paige for her gracious hospitality. 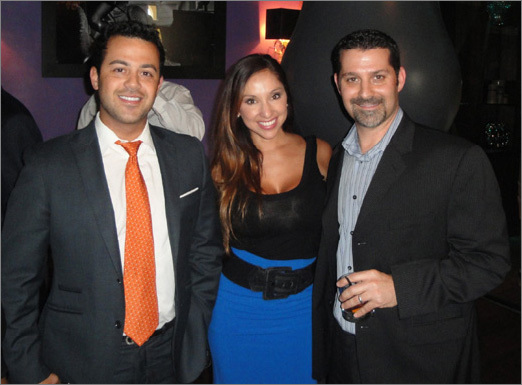 Michelle Citrin of Neox Image, Michael Mowatt and Mercy Dorta of Miami Children’s Hospital and Pablo Gonzalez of Arellano Construction. 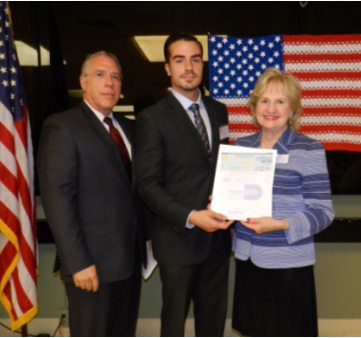 David Lancz from the Office of Senator Gwen Margolis, Nury Soler and Daniel Arbueas from the Office of U.S. Senator Marco Rubio. 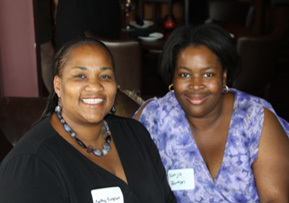 Erica Washington and Eva Williams from Women of Tomorrow. Cameron Sisser and Lena Lowell. 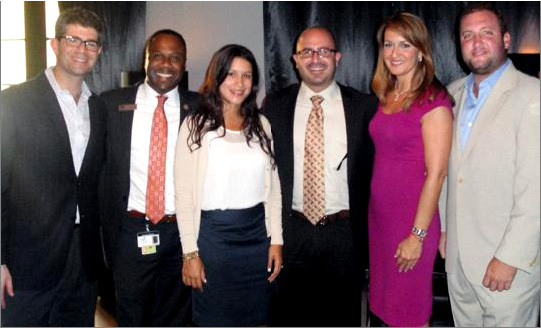 The Young Professionals of Miami Lighthouse (YPOL) held a happy hour sponsored by United Teacher’s of Dade on Thursday, September 13th. 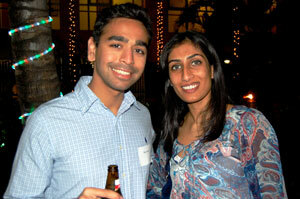 More than 40 young professionals gathered to enjoy an evening of delightful appetizers and wine. YPOL co-chair Kent Benedict welcomed attendees to the event and thanked United Teachers of Dade for their generosity in sponsoring the event. 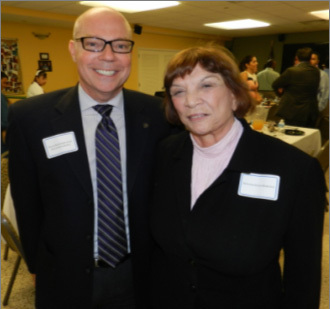 Guests heard from Karen Aronowitz, President United Teachers of Dade, who spoke about the amazing work Miami Lighthouse does for the blind and visually impaired community. To cap off the night, Joanne Messing won the business card raffle for two tickets to the Miami Dolphins home opener against the Oakland Raiders. 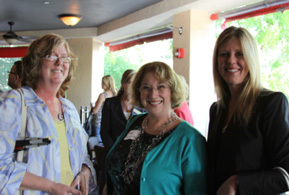 YPOL event attendees enjoy networking. 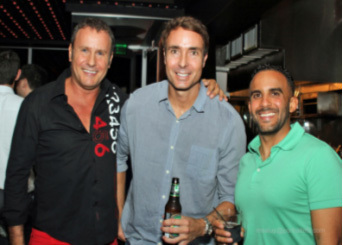 On August 10th the Young Professionals of the Miami Lighthouse (YPOL) met for a relaxing happy hour at the beautiful SLS Hotel on South Beach. Complimentary cocktails were provided while members of YPOL networked with each other. 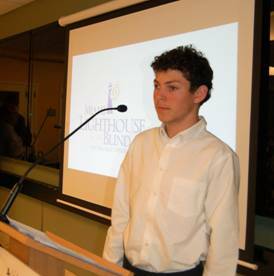 You can become a YPOL member by contacting Cameron Sisser at csisser@miamilighthouse.org or 786-362-7515. The YPOL Committee thanks Mario Stocco of the SLS Hotel for his gracious hospitality. 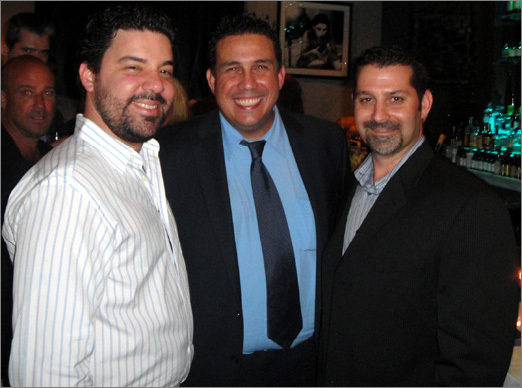 Mario Stocco, Alex Dominguez and Michael Jimenez. Lena Lowell and Charlie Coffin. 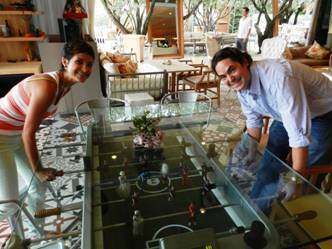 Martha Lluch and Pablo Gonzalez. Karen Araque, Michael Mowatt and Mercy Dorta. The Young Professionals of Miami Lighthouse held their Legislative Luncheon and networking event at the Miami Lighthouse for the Blind and Visually Impaired on Monday, June 18th. 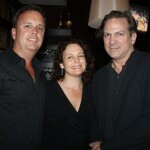 The event was generously underwritten by Flagler Development Company. Nineteen elected officials were represented at the luncheon including representatives from U.S. Senator’s Nelson and Rubio’s offices, two U.S. Congressional aides, one State Senator and four State Representatives. 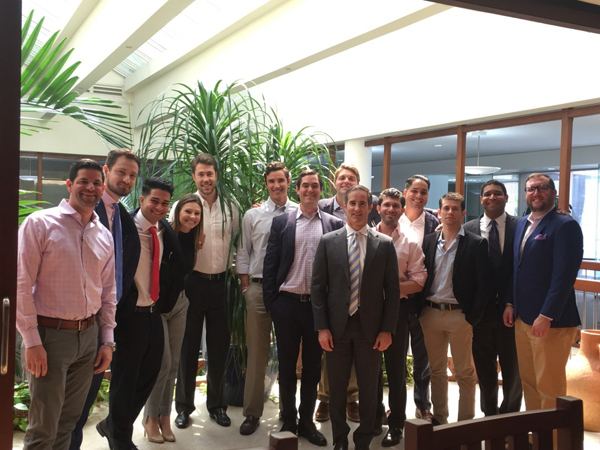 Over eighty young professionals gathered to enjoy the complimentary luncheon and networking which were followed by a tour of the Miami Lighthouse. 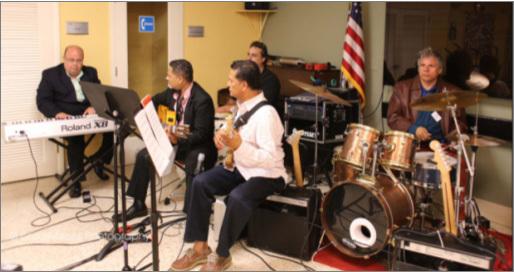 The event was kicked-off with a musical performance by Miami Lighthouse Better Chance Music Production Program™ students Eddy Camacho, Stephanie Camacho, Oman Pedreira and Alexis Velasquez. Chairman of the board of directors Michael Silva and chair-elect Agustin Arellano Jr. welcomed attendees to the luncheon and introduced Miami Lighthouse transition student Joey Chica to give the invocation, after which Juan Pablo Paniagua, a Braille literacy program student, spoke about his journey with Miami Lighthouse. 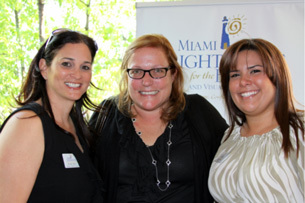 Virginia A. Jacko, President & CEO of Miami Lighthouse, spoke to the group about the inspiring mission of Miami Lighthouse and the importance of leadership and uniting young professionals, elected officials and Miami Lighthouse’s board directors. Attendees were treated to a personal tour of Miami Lighthouse which included the Low Vision Center and Solutions Store, STAR and Transition summer camp programs and the Better Chance Music Production Program™. We have 150 schoolchildren enrolled in our summer camps. Guests enjoyed seeing the fun and engaging activities children participate in on a daily basis here at Miami Lighthouse. We thank our sponsor, Flagler Development Company, elected officials, aides and all the young professionals who attended the event. Representative Joe Gibbons, Representative Ron Saunders, Board Director Ray Casas, Representative Luis Garcia, Senator Gwen Margolis, Representative Carlos Lopez-Cantera, Doral Councilwoman Ana Maria Rodriguez, Chairman Michael Silva, CEO Virginia Jacko, Miami- Dade County Commissioner Sally Heyman, Hallandale Beach Commissioner Alexander Levy, Board Director Kent Benedict, and Board Director Agustin Arellano Jr.
with Board Director Agustin Arellano Jr.
two years in a row, speaks about his journey with Miami Lighthouse. made by Social Group Activities clients. 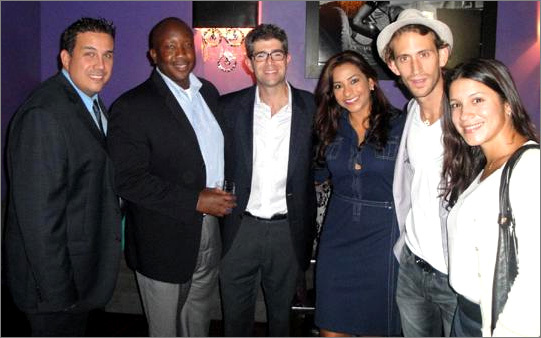 On March 7th the Young Professionals of the Miami Lighthouse (YPOL) held a night of networking to help raise funds for the Miami Lighthouse Better Chance Music Production Program™ student trip to Universal Studios. Virginia Jacko welcomed everyone who attended the event and Christopher Block, Director of Operations at Habify, explained how to make your home comfortable, healthy, sustainable, safe, efficient and beautiful. The Better Chance Music Production Program™ student musician’s provided musical delights throughout the evening. 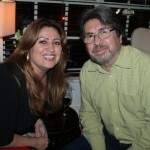 Ana Maria Rodriguez, YPOL co-chair, and Christopher Block, Director of Operations at Habify. The Young Professionals of the Lighthouse (YPOL) held their holiday toy drive at The Learning Express on December 4th. Children and parents gathered to enjoy a Sunday afternoon of purchasing toys for blind babies and children and laughs were provided by Ziggy the Clown. Virginia Jacko welcomed everyone who attended the event and explained to all the children about Miami Lighthouse and what her guide-dog Kieran does for a living. The YPOL Committee would like to thank Learning Express and all who purchased toys for blind and visually impaired students of Miami Lighthouse generating over 100 gifts and $500 in donations. 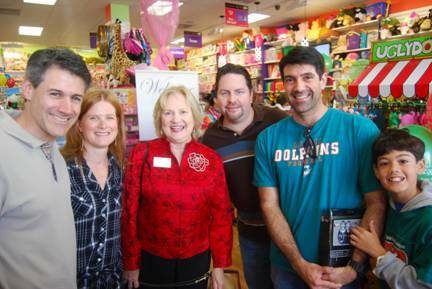 To read the Miami Herald article on the event click the following link Toy Drive To Help Lighthouse For The Blind’s Baby Program. YPOL Committee Member Michael Jimenez and Bryce Jimenez. 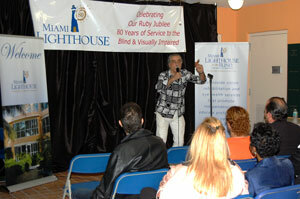 Virginia Jacko tells the children about what Miami Lighthouse for the Blind does. The Young Professionals of Miami Lighthouse held their Legislative Luncheon and networking event at the Miami Lighthouse for the Blind and Visually Impaired on Monday, June 27th. 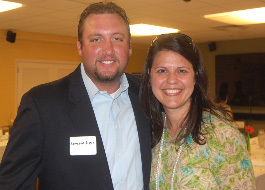 The event was generously underwritten by Flagler Development Company. 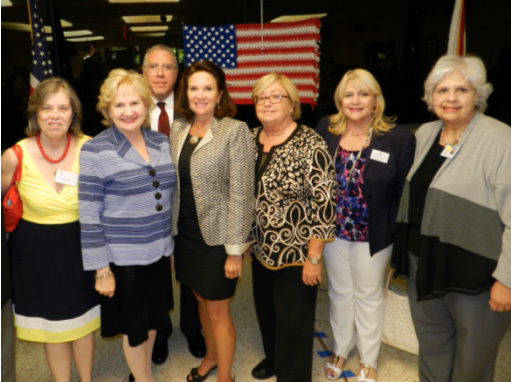 Sixteen elected officials were represented at the luncheon including three State Senators, four State Representatives and two U.S. Congressional aides. Sixty young professionals gathered to enjoy the complimentary luncheon and networking which were followed by a tour of the Miami Lighthouse. 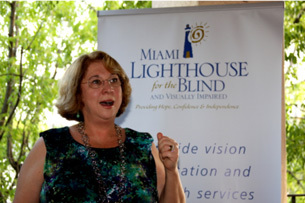 Virginia A. Jacko, President & CEO of Miami Lighthouse, spoke to the group about the inspiring mission of Miami Lighthouse and described the ways in which the Florida Legislature helps Miami Lighthouse transform the lives of the blind and visually impaired, from babies to seniors. Elected officials and young professionals in attendance were treated to a personal tour of Miami Lighthouse which included one of our Heiken mobile eye care units, Low Vision Center and Solutions Store, STAR and Transition summer camp programs and the Better Chance Music Production Program™, programs in which 125 schoolchildren are enrolled this summer. Attendees enjoyed seeing the fun and engaging activities children participate in on a daily basis here at Miami Lighthouse. 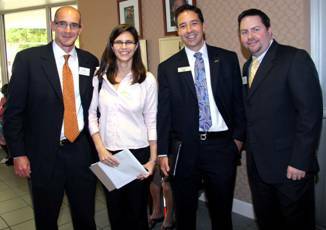 We thank our sponsor, Flagler Development Company, elected officials, aides and all the young professionals who attended the event. 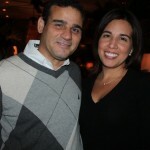 Doral Councilwoman Ana Maria Rodriguez and Representative Dwight Bullard. and Representative Jose Felix Diaz. 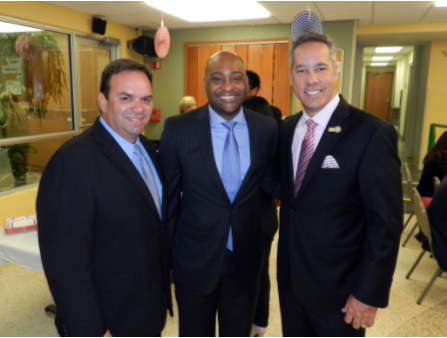 Representative Jose Felix Diaz and Senator Oscar Braynon. 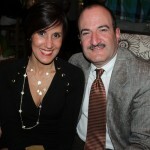 aide to Miami-Dade County School board member Dr. Martin Karp. YPOL Committee Member Pablo Gonzalez. 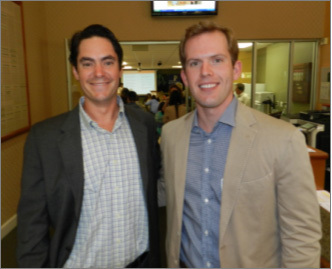 Rob Bowlby and Board Director Kent Benedict. 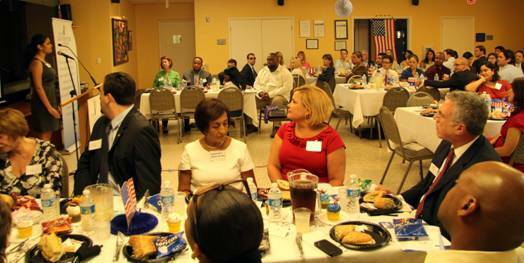 Laurie Flink Deputy District Director to U.S. Congresswoman Debbie Wasserman Schultz..
Attendees enjoy “God Bless the U.S.A” sung by Natalia Sulca. 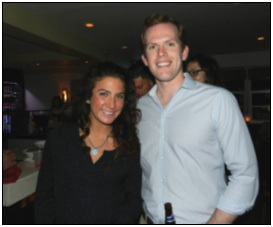 The Young Professionals of the Lighthouse (YPOL) held their second social of 2011 at The Burgundy Room on May 17th. 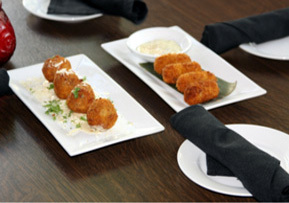 More than 50 young professionals gathered to enjoy an evening of delightful appetizers and wine provided by The Burgundy Room. 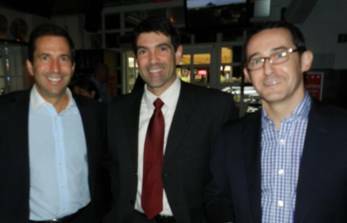 YPOL co-chairs Kent Benedict and Bert Gonzalez, Jr. welcomed attendees to the event and thanked United Teachers of Dade for their generosity in sponsoring the event. Guests heard from Virginia Jacko, President Miami Lighthouse, Karen Aronowitz, President United Teachers of Dade and Linda Weiss Rose, Department Chair Programs for the Visually Impaired MDPS, who spoke about Miami Lighthouse’s collaboration with Miami-Dade Public Schools Programs for the Visually Impaired. At the end of the night a few lucky winners of the business card raffle were awarded with a dinner for two gift certificate to Fogo de Chao and a one year membership to Normandy Gym. Photos courtesy of Caroline Lamarre. Virginia Jacko President Miami Lighthouse. 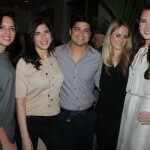 The Young Professionals of the Lighthouse (YPOL) held their first social of 2011 at the Miami Lighthouse on February 1st. 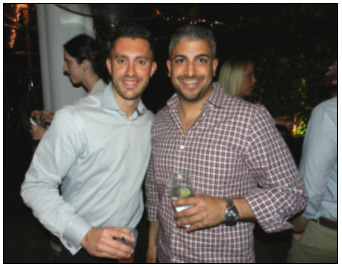 More than 50 young professionals gathered to enjoy an evening of delightful paella and wine provided by El Carajo, as well as, live music provided by Miami Lighthouse musicians and comedy hour hosted by Irene Morales, Elvis Anderson, Dan DeCotiis and Jamal Hattar. 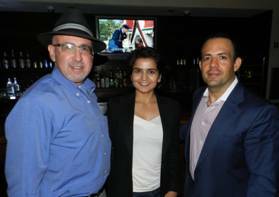 YPOL co-chairs Kent Benedict, Ana Maria Rodriguez and Bert Gonzalez, Jr. welcomed attendees to the event and thanked El Carajo and the Comedians for their generosity in providing the wonderful ambiance for the evening’s festivities. At the end of the night a few lucky winners of the business card raffle were awarded with bottle service at UVA donated by Jamal Hattar and original ceramic pieces created and painted by Social Group Activities clients. The Young Professionals of the Lighthouse (YPOL) held a luncheon and networking event at the Miami Lighthouse for the Blind and Visually Impaired on June 29. 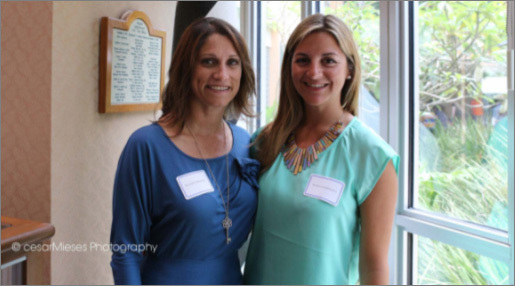 Generously underwritten by Baptist Health South Florida, more than 35 young professionals gathered to enjoy the luncheon which was followed by a tour of the Miami Lighthouse. Humberto Gonzalez, Jr. and YPOL co-chair Ana Maria Rodriguez spoke to the group about the inspiring mission of the Miami Lighthouse and described the ways in which the organization changes lives. One lucky guest won the business card raffle, which included an original ceramic piece created and painted by a Social Group Activities client as well as two music CDs performed and recorded by students in the music program. Young professionals in attendance at the luncheon were treated to a personal tour of the Miami Lighthouse by President and CEO Virginia Jacko. 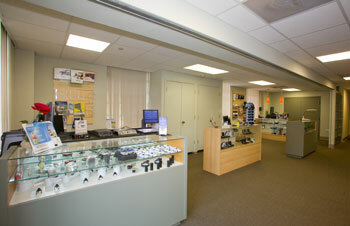 The tour included a visit to the new Low Vision Center and Solutions Store as well as various summer camp programs. Attendees enjoyed seeing the fun and engaging activities children participate in on a daily basis. 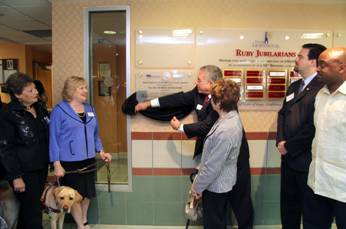 The 2010 Project Goal for the YPOL is to raise $10,000 for the Children’s Program to purchase note takers for blind children which will aid their educational pursuits. We thank all those in attendance for contributing towards this goal. 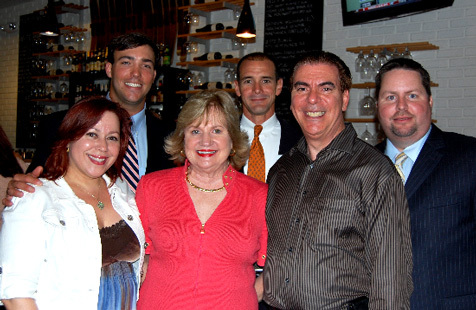 The Young Professionals of the Lighthouse (YPOL) held a networking event at Angelique Euro Café in Coral Gables on September 7. 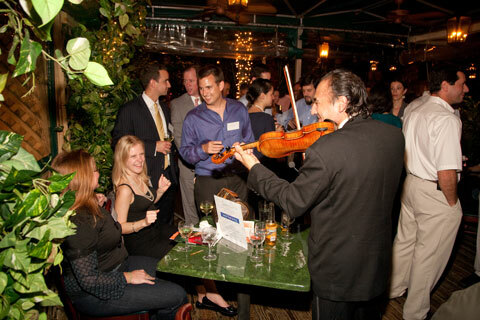 More than 40 young professionals gathered to enjoy an evening of delightful food and drinks, as well as live music provided by Miami Lighthouse musicians. YPOL co-chair Agustin Arellano, Jr. welcomed attendees to the event and thanked Angelique Euro Café owners Carlos and Yolanda Rossi for their generosity in providing the wonderful venue, as well as delicious hors d’oeuvres, beer, and wine. Miami Lighthouse instructor Isabel Chica spoke to the group about how blind children are able to take notes in school and brought along a traditional Perkins Brailler and Mountbatten Brailler to demonstrate. 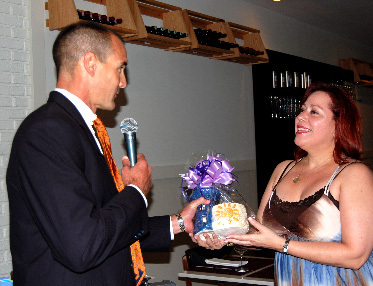 YPOL co-chair Kent Benedict presented one lucky winner of the business card raffle with an original ceramic piece created and painted by a Social Group Activities client. Young professionals in attendance were treated to handmade thank you cards created by children who participated in the Miami Lighthouse Summer Camp 2010. 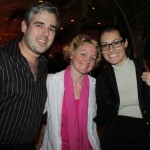 On February 24, 2010, the Young Professionals of the Lighthouse (YPOL) kicked off the 2010 year with an exclusive event at Perricone’s Marketplace & Café in downtown Miami. 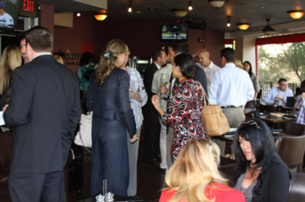 Over 60 young professionals gathered to celebrate the launch of the book The Blind Visionary -- the powerful, true story of Miami Lighthouse for the Blind’s President and CEO, Virginia Jacko. 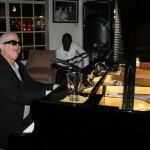 The evening began with complimentary wine, beer, and hors d’oeuvres -- generously provided by Perricone’s – and as the YPOL members socialized with one another, they were treated to the rich sound of jazz, skillfully performed by the talented Miami Lighthouse for the Blind musicians. All attendees received a signed copy of Virginia’s book. YPOL co-chair Kent Benedict welcomed attendees to the event and spoke about the mission of the Young Professionals of the Lighthouse. 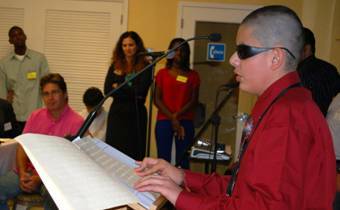 YPOL member and father of a visually impaired child Humberto Gonzalez Jr. gave a personal account of his family’s experiences with the Blind Babies Program. 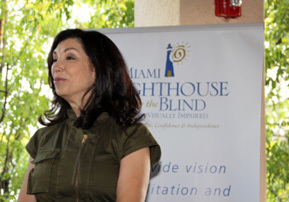 Finally, Miami Lighthouse for the Blind CEO, Virginia Jacko, shared with the audience her long journey from her professional career as Director of Financial Affairs at Purdue University to becoming the leader of the Miami Lighthouse – and the lessons she had learned along the way. 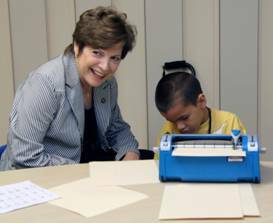 The 2010 Project Goal for the YPOL is to raise $10,000 for the Children’s Program to purchase note takers for blind children, which in turn will aid their educational pursuits. We thank all those in attendance for contributing towards this goal.